Anillia was a charm to work with. 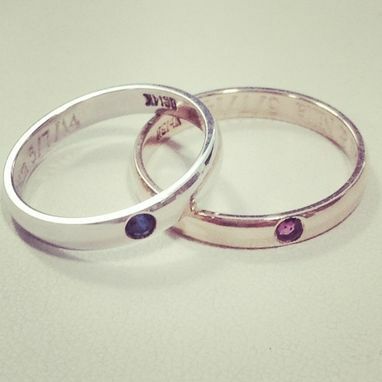 We made 2 matching bands with one in white gold and the other in yellow gold 14kt. The bands consist of matching size ruby and sapphires natural with special engravings on the inside of the band.